The Department of Adult and Pediatric Diagnostic, Interventional Radiology at the University Hospital Heidelberg offers the full range of services in these medical fields. It conducts all modern radiological examinations and imaging-guided minimally invasive interventions for the treatment of various benign and malignant diseases. A feature of the department is imaging diagnostics in children and adolescents. There are specially adapted devices with minimal irradiation for this purpose. The Chief Physician of the department is Prof. Dr. med. Hans-Ulrich Kauczor. The work of the department is based on the picture archiving and communication system, which allows the doctors to save patients’ examination results and provide access to the specialists from other departments of the hospital. The medical staff of the department consists of the best professionals in their field, who have been educated at the prestigious universities in Germany, Europe and America. The specialists of the department regularly undergo advanced training courses, so they are keeping abreast of the very latest scientific achievements in medicine. In addition, many doctors are actively involved in the department’s research activities. 1983 - 1989 Study of Medicine at the University of Bonn (Germany), Internship, University of Heidelberg, (Germany), Final Medical Examination (Doctor of Medicine). 1989 - 1994 Residency in Radiology, German Cancer Research Center (DKFZ) Heidelberg and University of Mainz, Germany, Board Certification for Diagnostic Radiology. 1994 - 1995 Fellowship, Department of Radiology, University of Mainz, Germany. 1996 - 1998 Assistant Professor, Department of Radiology, University of Mainz, Germany. 1998 Postdoctoral Qualification as University Lecturer at the University of Mainz "Functional Imaging of Lung Ventilation using CT and MRI". 1998 - 2002 Assistant Professor in the Department of Radiology, University of Mainz, Germany. 2003 - 2010 Member of the Board of Managing Directors of the Comprehensive Cancer Center Heidelberg, Germany. 2003 - 2008 Full Professor for Radiology, Head of the Department of Radiology at the German Cancer Research Center (DKFZ), Heidelberg, Germany. 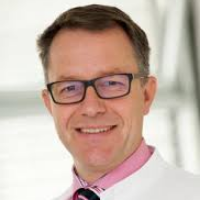 Since 2008, Full Professor and Head of the Department of Adult and Pediatric Diagnostic, Interventional Radiology at the University at the University Hospital Heidelberg. 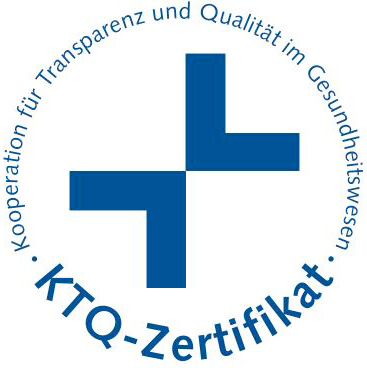 Since 2012 Principal Investigator of the Translational Lung Research Center Heidelberg (TLRC) and the German Center for Lung Research (DZL). 1992 Award of the German Society of Radiology. 1995 Award of the European Society of Thoracic Imaging. 1999 Colloquia Academica of the Academy of Science of Literature Mainz. 2000 Holthusen-Ring of the German Society of Radiology (DRG). 2001 Award of the Society of Thoracic Radiology. 2007 Kuhrt-Robb Award for the Distinguished Scholar of the Memorial Sloan Kettering Cancer Center, New York. 2012 Visiting Professor, Medical College of the Qingdao University, China.